For some time now, feminist theologians and a host of others have suggested that Christians should adopt new names for God. One denomination went so far as to affirm names like “Giver, Gift and Giving” in place of the “Father, Son and Holy Spirit” to be used in worship. Feminist theologians have demanded that masculine pronouns and names for God be replaced with female or gender-neutral terms. But to change the name of God is to redefine the God we reference. Changing the name of God is no small matter. Moses understood this. When he encountered the call of God that came from the burning bush, Moses asked God, “If I come to the people of Israel and say to them, ‘The God of your fathers has sent me to you,’ and they ask me, ‘What is his name?’ what shall I say to them?” (Exodus 3:13). God answered Moses, “I Am who I Am” (Exodus 3:14). God told Moses, “Say this to the people of Israel, ‘The Lord, the God of your fathers, the God of Abraham, the God of Isaac, and the God of Jacob, has sent me to you.’ This is my name forever, and thus I am to be remembered throughout all generations” (Exodus 3:15). We have no right to modify or to revise these names—much less to reject them. Jesus Christ made this abundantly clear. In the simplest way imaginable, Jesus teaches us to know God as Father, and to use this name in prayer. The Lord’s Prayer begins with the words, “Our Father, who is in heaven.” By the grace that God has shown us in Christ, we can truly know Him as Father. Furthermore, Muslims claim that Allah has no son. This represents a head-on collision between the God of the Bible and Allah. For, as the Bible makes clear, the one and only true God is most perfectly revealed as the Father of the Son, Jesus Christ. In the Gospel of John, Jesus repeatedly teaches that no one has truly known the Father, except by the Son. In one of the most clarifying verses in the New Testament, Jesus declared Himself to be “the way, and the truth, and the life,” adding, “No one comes to the Father except through me” (John 14:6). The Trinitarian nature of God is embedded within the Great Commission. Jesus tells His disciples to go into the world and make disciples of all nations and to baptize them “in the name of the Father and of the Son and of the Holy Spirit” (Matthew 28:19). Christians are those who bear the names of God even in our baptism, and those names are Father, Son and Holy Spirit. This has become a matter of significant controversy in recent years as some Christians, including some serving with mission agencies, have argued that Christians can use the name “Allah” in talking about God. In some languages, especially those based on an Arabic source, there is no generic word for god. In such a situation, it might be necessary to begin a conversation by using this word, but the Christian cannot continue to call God “Allah.” It is hard to imagine that anyone can hear the name “Allah” without thinking of him as claimed in the Quran (see following article). Indeed, Muslims who speak languages other than Arabic use “Allah” as the name of god. But as soon as the Christian begins to explain that the true living God is the Father of Jesus Christ the Son, the Christian is making clear that the true living God is not Allah, but our Heavenly Father. God takes His name with great seriousness, and so must we. Thankfully, we are not left in the dark, groping for adequate language. God has revealed His names to us, so that we can rightly know Him. We are not called to be clever or creative in referring to God, only faithful and accurate. We are living in challenging days. One of the most pressing challenges of our times is the task of speaking rightly about God. 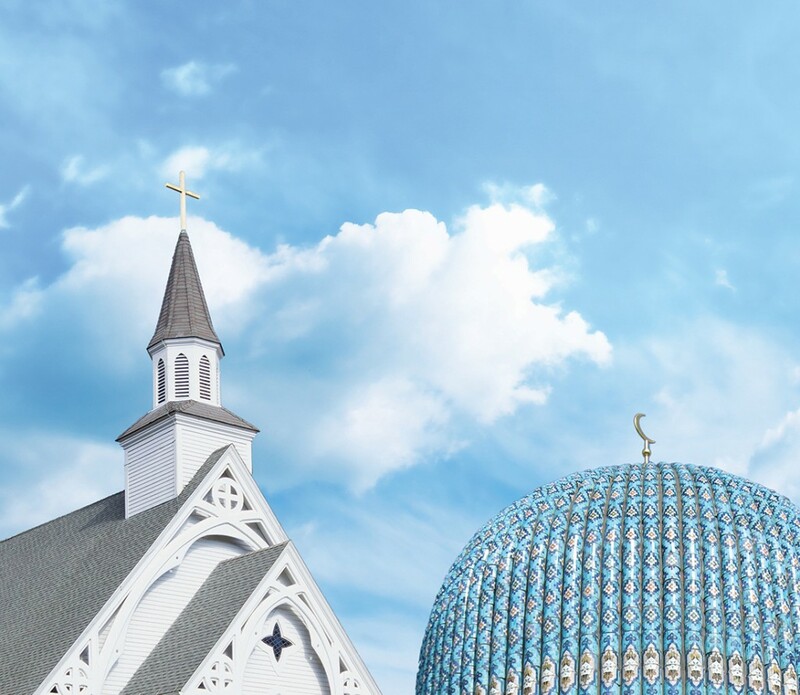 This is particularly challenging when Christians encounter Muslims, but it is also a challenge when Christians encounter secular people in Western cultures. But this really isn’t a new challenge. It was the same challenge faced by the children of Israel as they encountered the Canaanites, and the same challenge faced by the Apostle Paul at Mars Hill. ©2013 R. Albert Mohler, Jr.